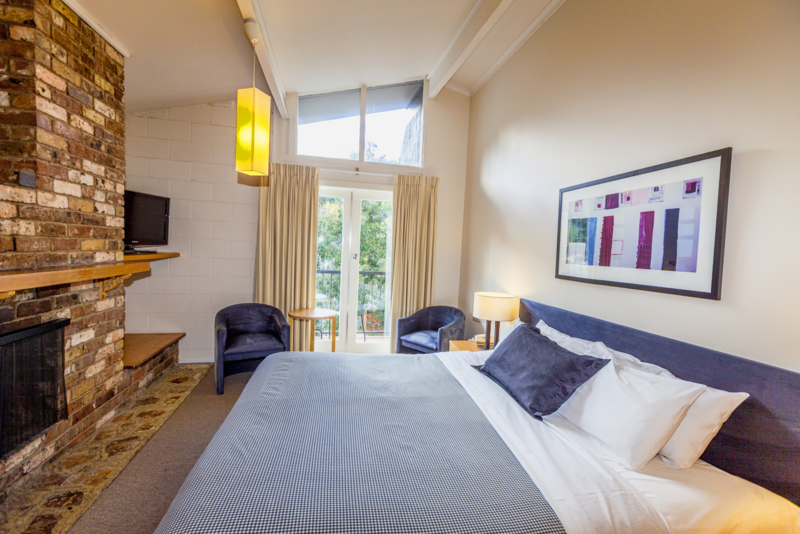 Drink, eat, sleep... ski, board, bike, bush walk or just relax whichever way you prefer it. Enjoy a cocktail or pre-dinner drink in our library lounge. Dine on delicious delights in our Terrace Restaurant. Party the night away in the infamous Apres Bar. 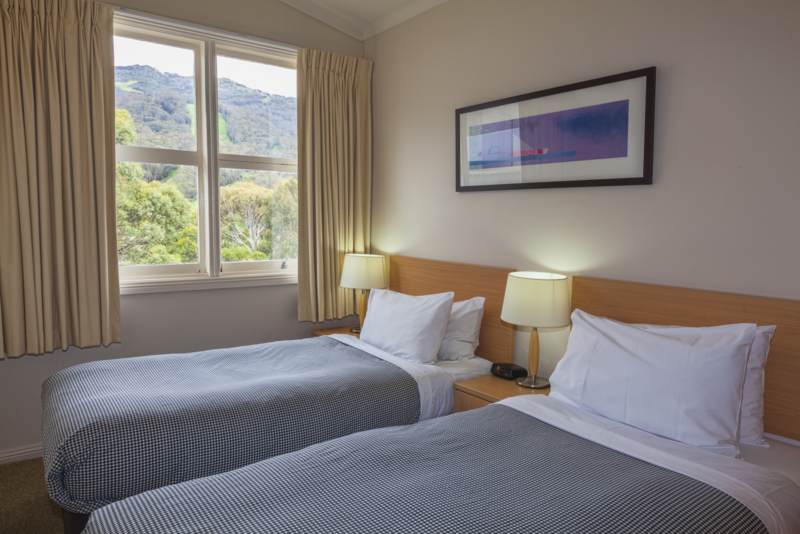 After all that mountain air, choose to stay in our iconic Thredbo accommodation. 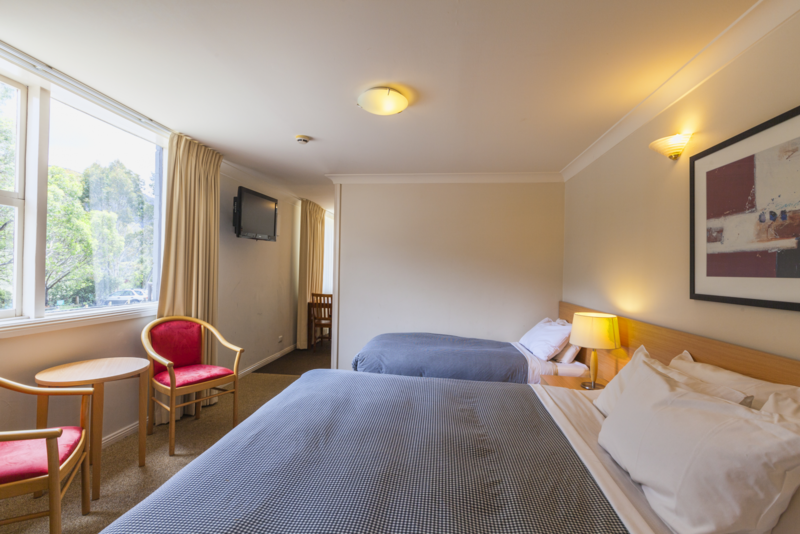 The Denman Hotel's accommodation extends from rooms for the solo traveller and families through to King & Queen bedded rooms for couples. 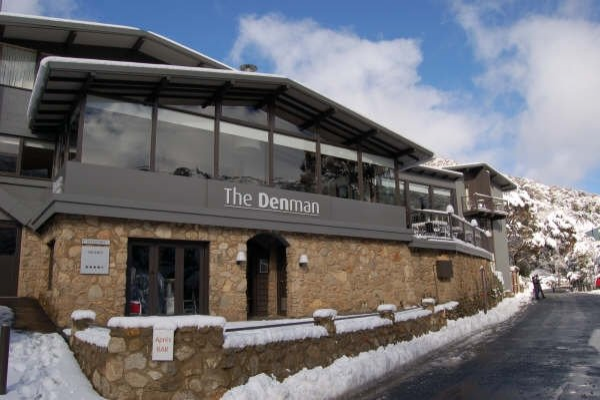 Whatever the season, whatever your passion, experience all the atmosphere that the Denman Hotel has to offer, right in the heart of Thredbo. Select your dates and book directly with us below. All of our room prices include breakfast. In winter, a hot buffet breakfast is served daily in our Terrace Restaurant. The rest of the year, a continental (cold) breakfast is provided. 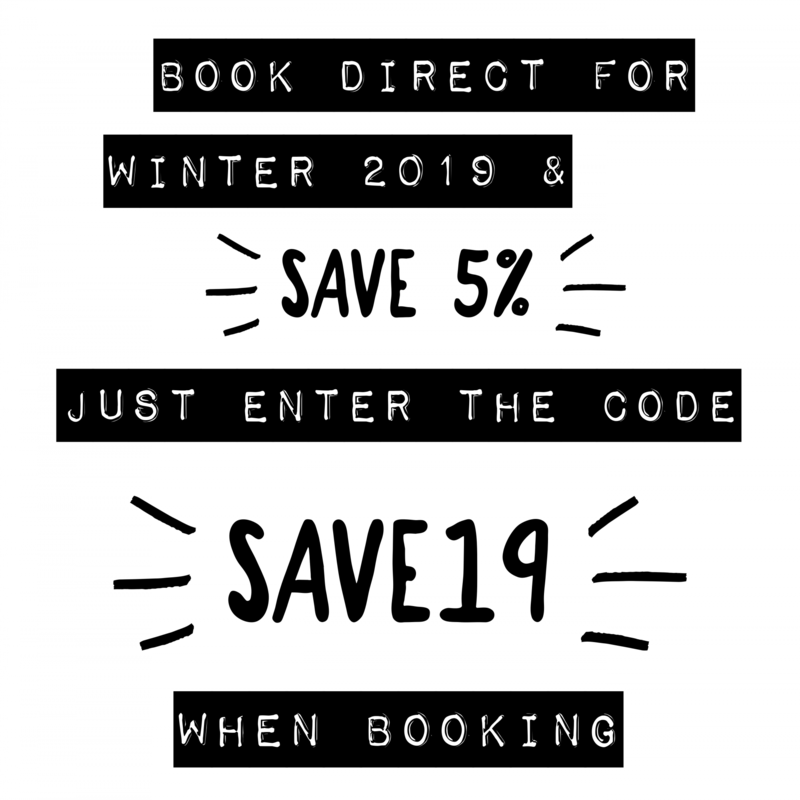 Need any help with your bookings? 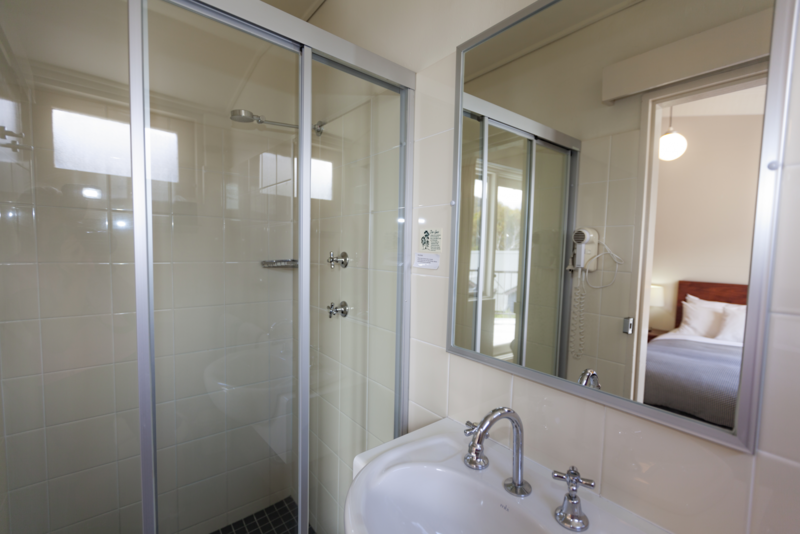 Please don't hesitate to call us on (02) 64576222. 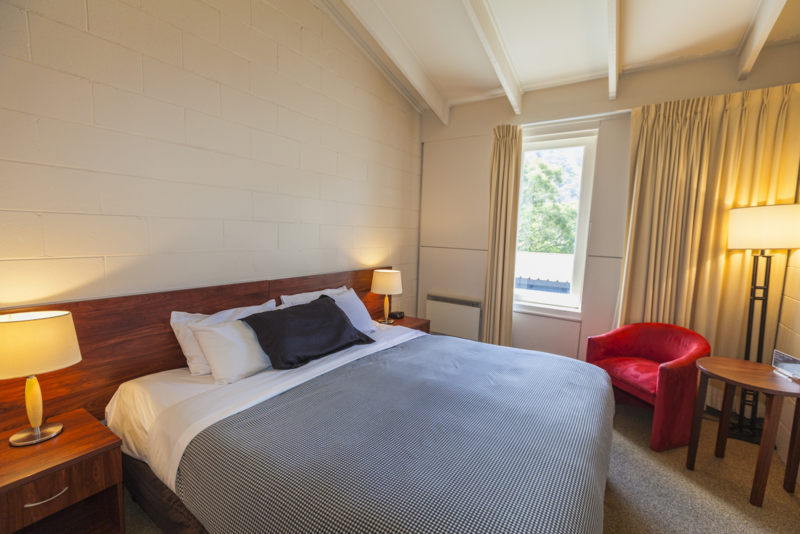 This is the most popular room at The Denman and is great for couples. 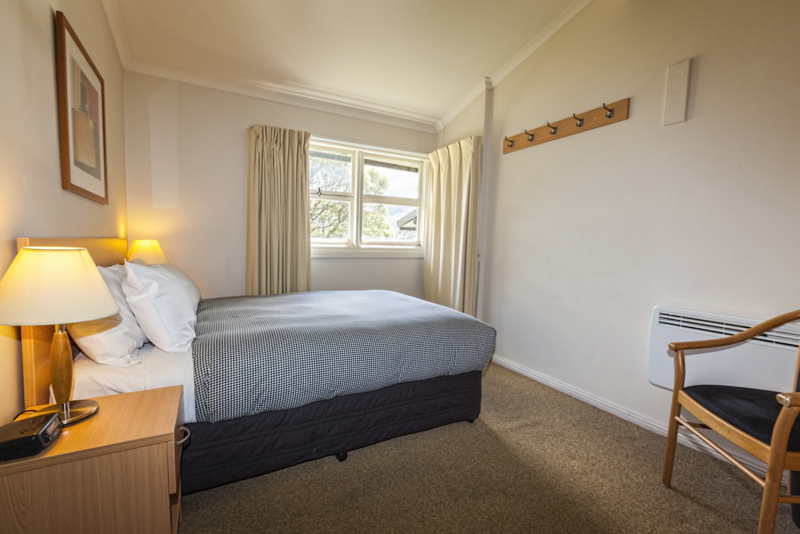 The King Rooms are also still in keeping with the older chalet style and are quite compact however offer more room than a double with the addition of a King size bed. 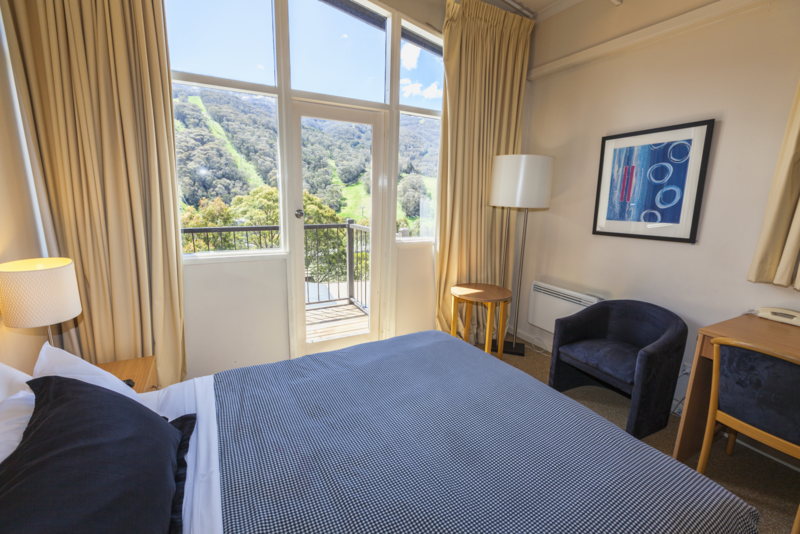 Our Queen Balcony Rooms are located on the top two levels of the hotel which means they have a spectacular vantage point over Thredbo Village and panoramic views of the mountain. There are some stairs to climb to get up to these rooms and unfortunately due to the historic age of the building there is no lift. However, in our opinion, it is worth it to surround yourself in the beautiful alpine scenery. These rooms have small private balconies with excellent views of the mountain equipped with a table and chairs to soak up the sun & the fresh mountain air. 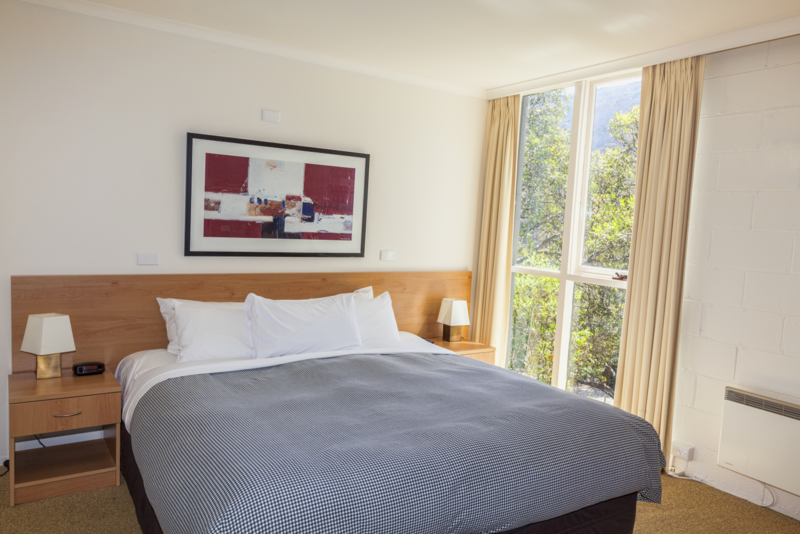 Our King Balcony Rooms are slightly more spacious, with a large comfortable king bed. These rooms are located just across a courtyard from the main building of the hotel. 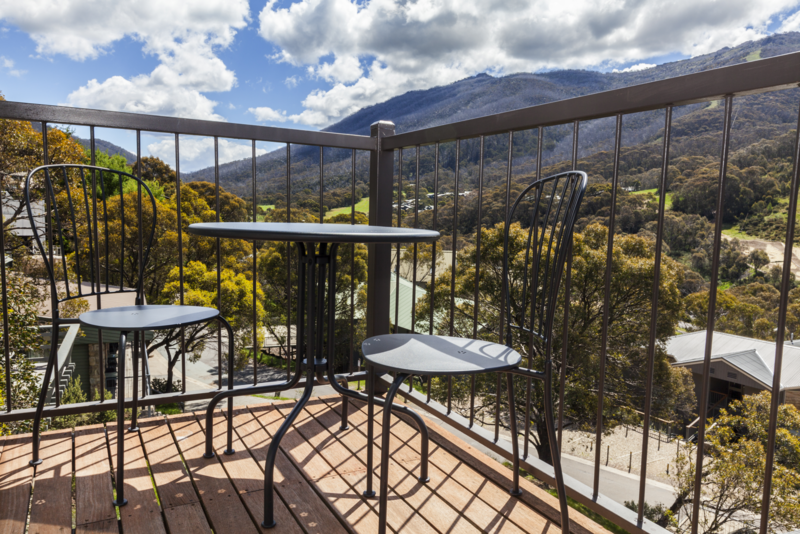 The perfect stumbling distance from the Terrace Restaurant or Apres Bar or a night out on the town in Thredbo. These rooms have small private balconies with excellent views of the mountain equipped with a table and chairs to soak up the sun & the fresh mountain air. 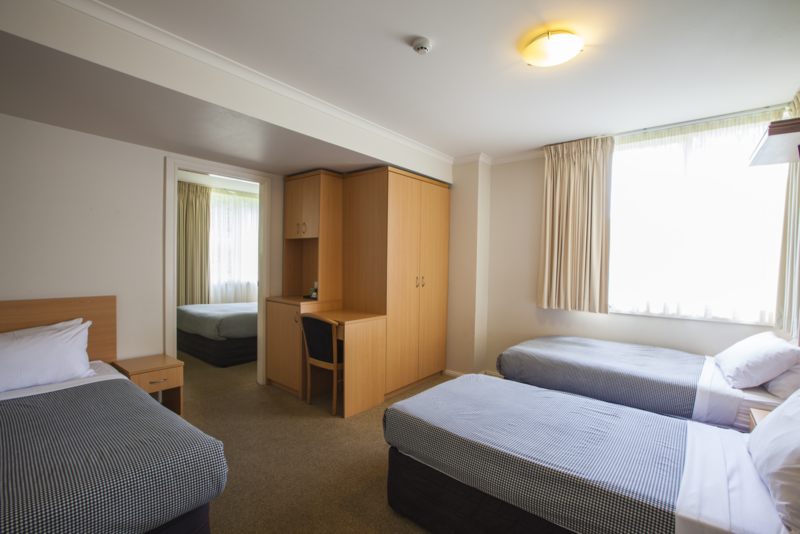 With a double bed for Mum and Dad in one room plus 3 single beds in an adjoining room and a compact en-suite, this room is ideal for a family who don't mind sharing. 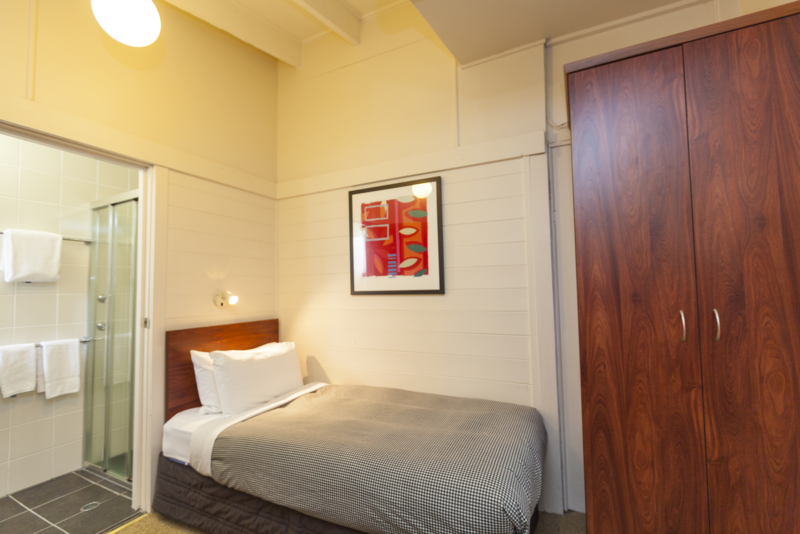 Our Family Rooms can accommodate 4 adults, however are quite compact and work best when used just for sleeping! Ideal for a family. 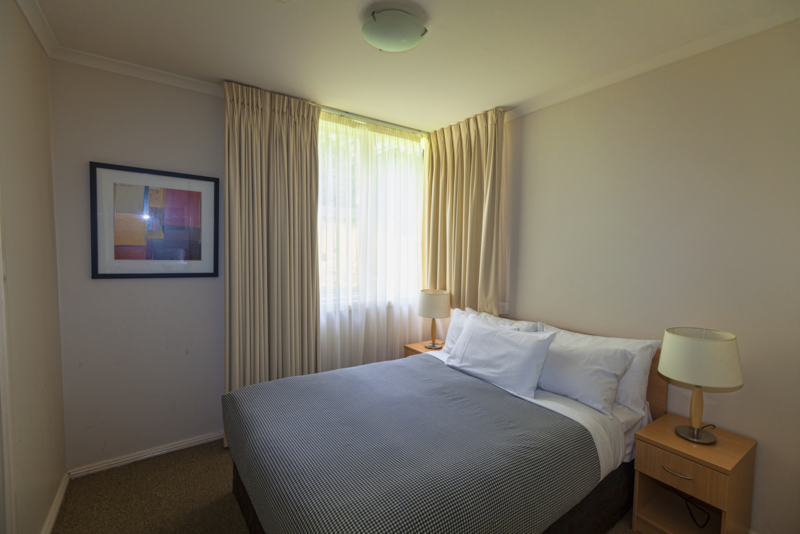 The bedding configuration is made up of 1 King Bed and 1 Single Bed in one room. 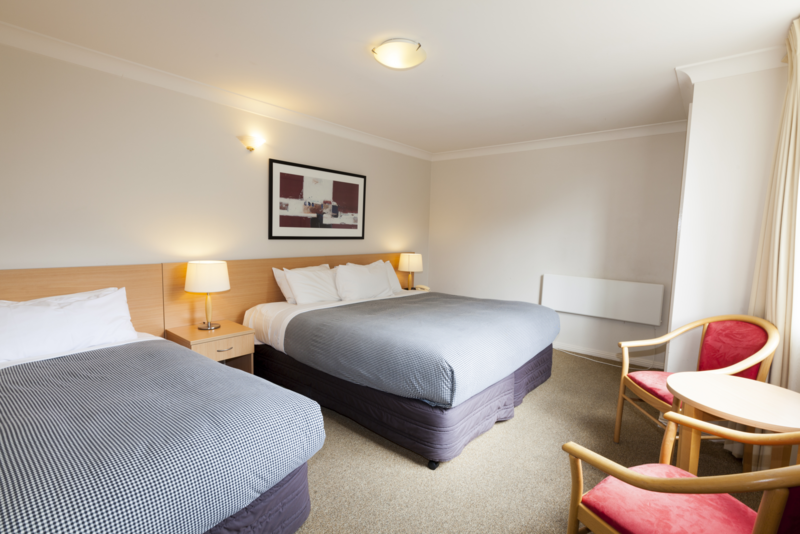 The room can also be made up comfortably for 3 adults traveling together, with the bedding configuration being 3 single beds or 1 King Bed and 1 Single Bed. 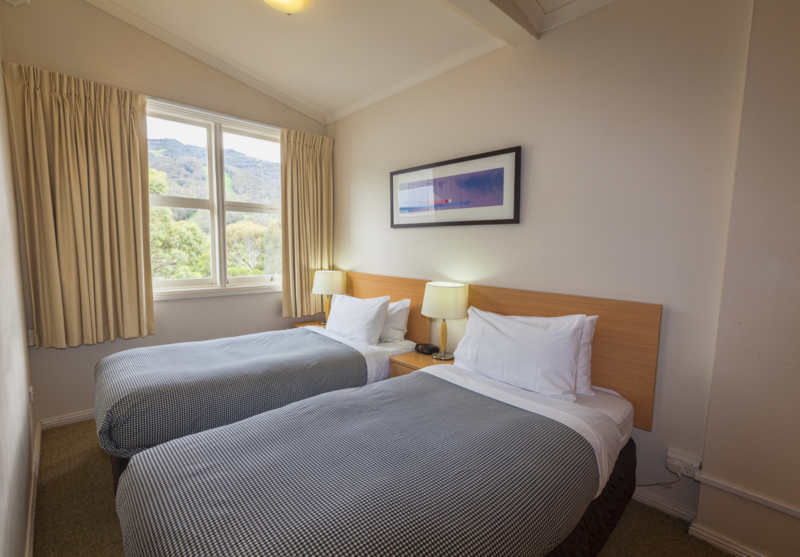 Some of our Triple Rooms have direct or side mountain views. With a double bed it sleeps 2 and is suitable for a couple. 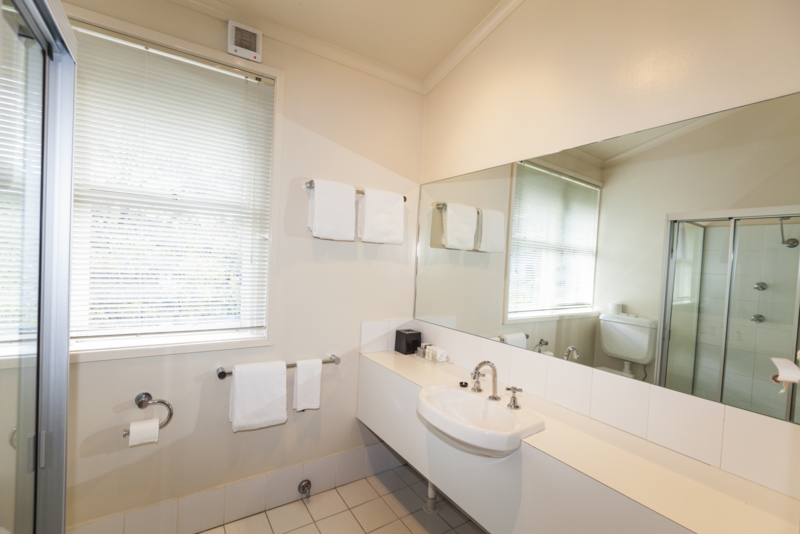 In keeping with the older chalet style of the hotel, the room and en-suite are compact, but have all the amenities you would expect. A nice space to retire to after enjoying The Denman’s Library Bar, Terrace Restaurant or Après Bar. A small and cosy room. With a single bed and compact en-suite, it is great for the solo traveller. It's also an affordable option for someone traveling with others who would like their own space, peace and quiet instead of sharing a room. Situated on the first floor, tucked in at the end of the hallway it is just the thing for resting up after a day on the mountain.